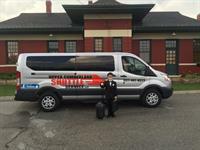 My wife Tammy & I are proud to be your professional choice for all you transportation needs. Our goal is to provide a safe, clean, smoke free & reliable personal service for business travelers, families & groups. 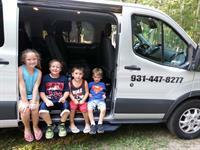 We offer "Door to Door" service, operating within a 200 mile radius, seating up to eleven (11) passengers. Some of our services include: Airport Shuttle, Business Trips, Day Excursions, Sporting Events, Medical Appointments, Concerts, Leisure Trips, etc. We are designed for all groups, such as Church, Senior Citizens, Boy & Girl Scouts. For more information, please call us at 931-447-8277 (UCSS). 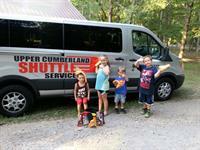 Be sure and visit us on FaceBook or email us at ucshuttles@gmail.com. "LEAVE THE DRIVING TO US!"